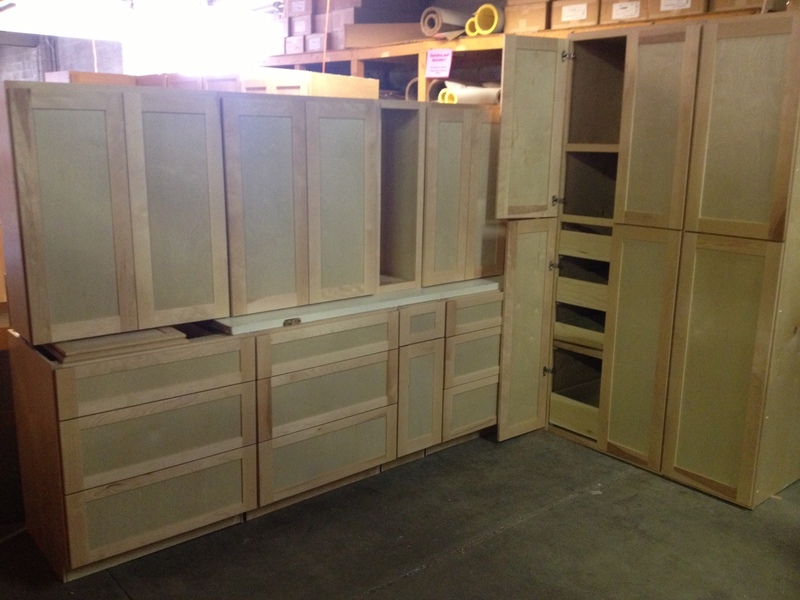 Bud’s Warehouse, Denver’s Home Improvement Thrift Store, is offering a beautiful 12 piece shaker-style birch kitchen cabinet set (including 2 custom pantries) handcrafted by our New Beginnings Custom Wooodworks cabinet shop. European soft close hinges and drawers and has already been lacquered and ready for installation! This set would retail at $10,000 elsewhere but is on sale for only $5k here at Bud’s. Bud’s newest employment and job-training program, New Beginnings Custom Woodworks, offers high-quality cabinets manufactured in our Denver mill shop from complete kitchens to individual bathroom vanities–all for prices that are up to 50% off other custom retailers.